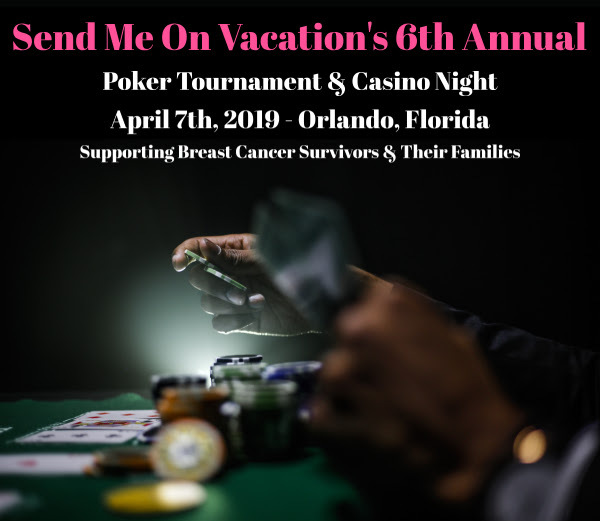 The 6TH Annual Send Me On Vacation – Poker Tournament & Casino Night. Space is limited. Don’t be left out of a fun night or the chance to change the life of one of your own. Thank you for supporting Breast Cancer Survivors and their families for the last five years! Your continued support has been vital to SMOV’s mission, and we are looking forward to seeing you at the 6th Annual Poker Tournament & Casino Night! 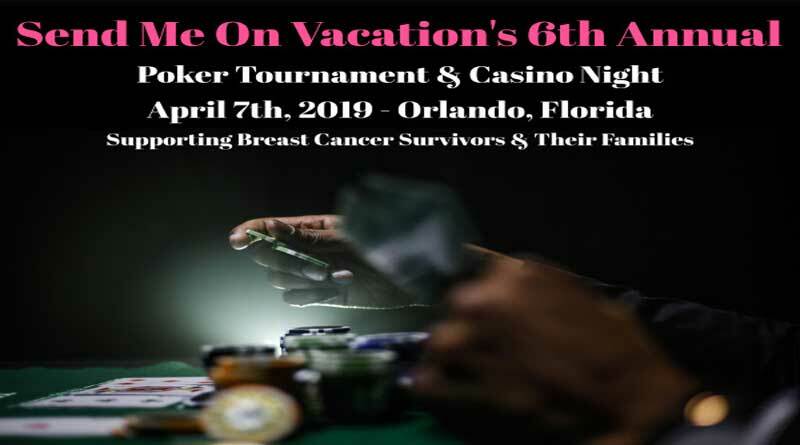 As always, this night isn’t focused on casino games but rather sending even more Breast Cancer Survivors, and their families, on a much-needed vacation. Thank you to our amazing past sponsors and attendees and we can’t wait to make this year the best yet!